Jenny Blackwell is curator of the Discovery Garden and plantings at the south end of Brooklyn Botanic Garden. Originally from Minnesota, Jenny didn’t really get bitten by the horticulture bug until she moved to New York City in 2005. After working as an intern at BBG and receiving a Certificate in Horticulture in 2008, she gardened with the compost tea masters at Battery Park City Parks Conservancy before serving as project manager for BBG’s NYC Compost Project for five years. She joined BBG’s Horticulture staff in 2014. Jenny is passionate about ecology and soil, and her favorite ecosystem in the Discovery Garden is the meadow. 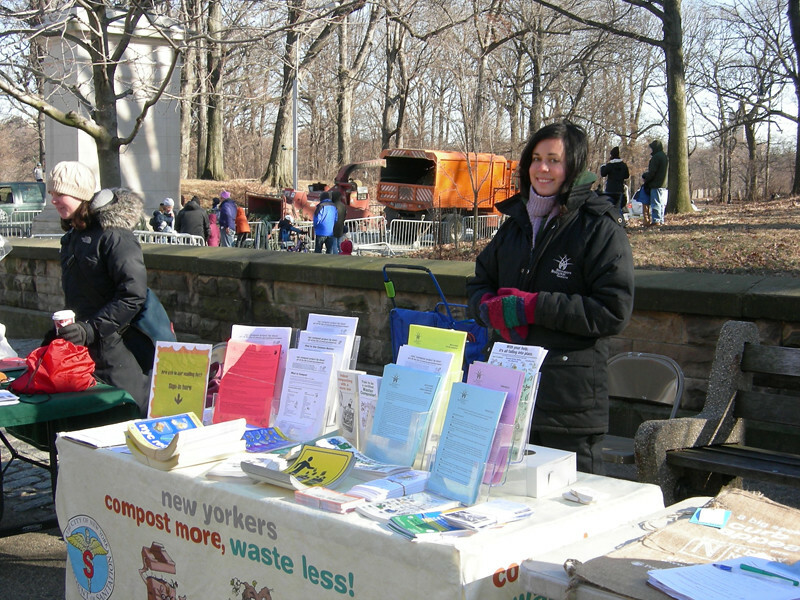 NYC Compost Project in Brooklyn manager Jenny Blackwell performing public outreach.